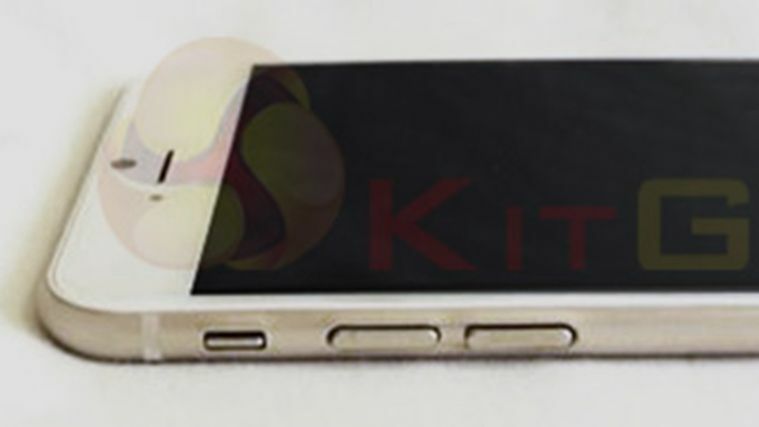 Is this the first actual shot of an iPhone 6? We're not saying someone sneaked into Foxconn with a snapper and escaped alive but...no wait, that's exactly what we're saying. Check it out. The handset pictured looks like the gold version of the iPhone 6, sporting the rumoured larger screen, curved edges, and other minor aesthetic changes. We've seen plenty of renders, dummy handsets, shots and videos of iPhone 6 parts, but this looks to be a Foxconn-fresh iPhone 6. "How anyone gets a camera in and out of a major organisation like Foxconn is a miracle," says Bob Crane, writer at KitGuru. "The same is probably true for Apple HQ, although we have never tried!" "If an opportunity were to present itself you would have to be so fast it's unreal. Remember, we're not talking swanky renderings. We're talking about a shot of the actual product." Despite the phone being the real thing, the device KitGuru snapped wasn't powered up and accessible, although they've pledged to leak the shot if they can. "If our man gets a chance to access one with juice inside, we'll be sure to let you know!"